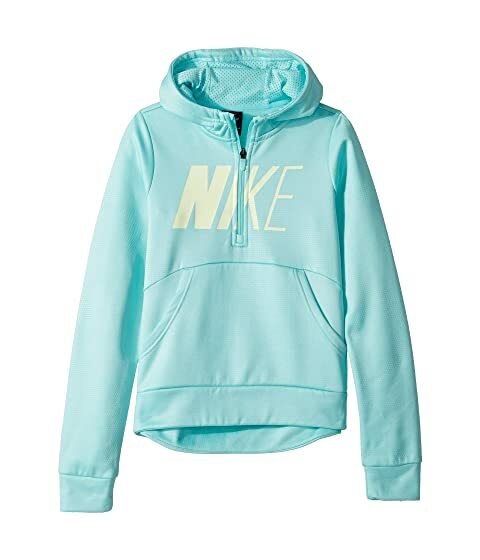 Any season, for any reason, she's firmly in her element with the Nike® Kids Therma 1/2 Zip Hoodie GFX. 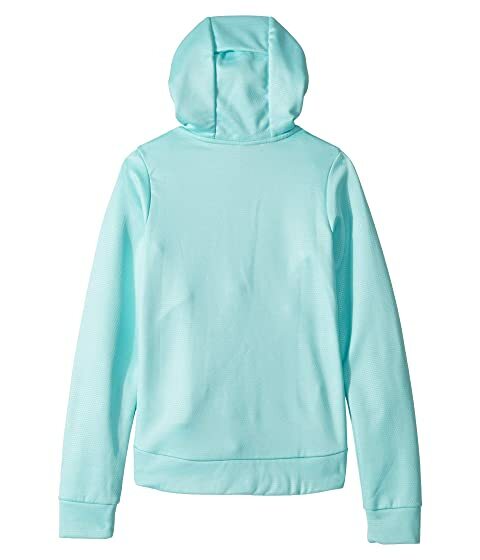 Ultra soft pullover for all-day comfort. Front, half-zip opening allows adjustable ventilation.